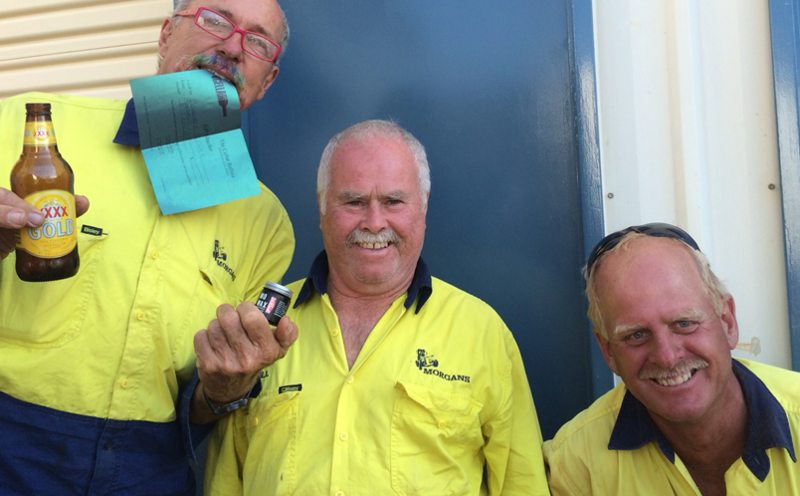 Our usual suspects supported again in 2016- Ballina Rugby Union & League club – LE-BA Boardriders – and The John Morgan Memorial ride was another big hit! 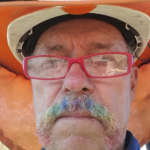 Movemeber was again a lot of fun and one of our workers Mike Haley took out highest fundraiser for the second year running, he personally drummed up $196… Morgans matched Dollar for Dollar again and loved being a a part of a great campaign raising money and awareness for mens health. Mike Hayley and his Rainbow Mo! Biala special support services were grateful for the donation of Morgans time and plant during an unfunded reinstatement inside their school grounds, weekend work like this when our people give their time makes Morgans incredibly proud. As always we have our annual sponsorship of two World Vision Kids, into our 14th year of following the progress of our Sponsor Children! 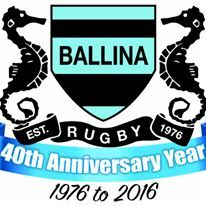 Plus our usual support of Ballina Rugby Union & League clubs and so many other bits around town we loose count! Donation & Support to our local “Riding for the Disabled�? org. During a fundraiser held at the Northern Rivers Art gallery we bid & won on a sculpture by a local artist, all monies raised were given to Riding for the Disabled, we then took great pleasure in re-gifting this directly to the org to either keep or re auction at a future event, they were so grateful and loved the beautiful horse sculpture so much that they now display it in their offices. The John Morgan Memorial ride raised $1800.00 for The Ballina Breast Cancer Support Group, after years of donating to national cancer awareness organisations we decided to align with a local support group, again keeping in line with our local business values, we were so happy to find The Ballina Breast Cancer Support Group, The group was founded 2005, over the years hundreds of women have joined to share information and support and talk about their experience of diagnosis, treatment, recovery, secondary cancer, and other issues affecting their lives. The group doesn’t fundraise as then the focus and energy goes to that instead of the women themselves, so they were incredibly grateful for our donation. They are a completely non profit group and any monies donated are used for day to day support of individual woman receiving treatment, with a lot of treatment options outside our local area and time spent out of the workplace things like, buying petrol vouchers and help paying bills are of great assistance, the group also puts on Free Yoga and Relaxation classes and lots, lots more. Another Highlight in 2013 was Paul & his family traveling to Sri Lanka to visit one of our World Vision sponsor kids, so great to see the monies direct positive effect on the now teenager and his community! The winner was Chris Long. The “John Morgan Memorial Ride�? went off again without a hitch & the men raised awareness & $840 For the Breast Cancer Foundation! With Morgans matching Dollar for Dollar the money raised by crew for this great event we raised $854.70. Congratulations and thanks to all those involved. Hamish O’Donnell was our biggest contributor! and the winner Mo went too! Mark Cousens. Special thanks to Chloe from Headroom hair for giving her time and Mo expertise! 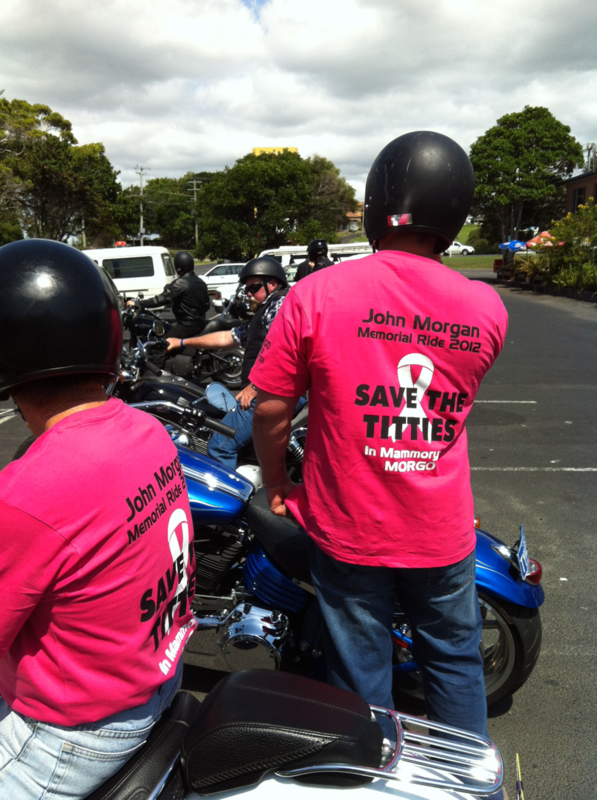 “John Morgan Memorial Ride�? as always saw a crew cruise their Harley’s down to Wooli and raise money for charity. 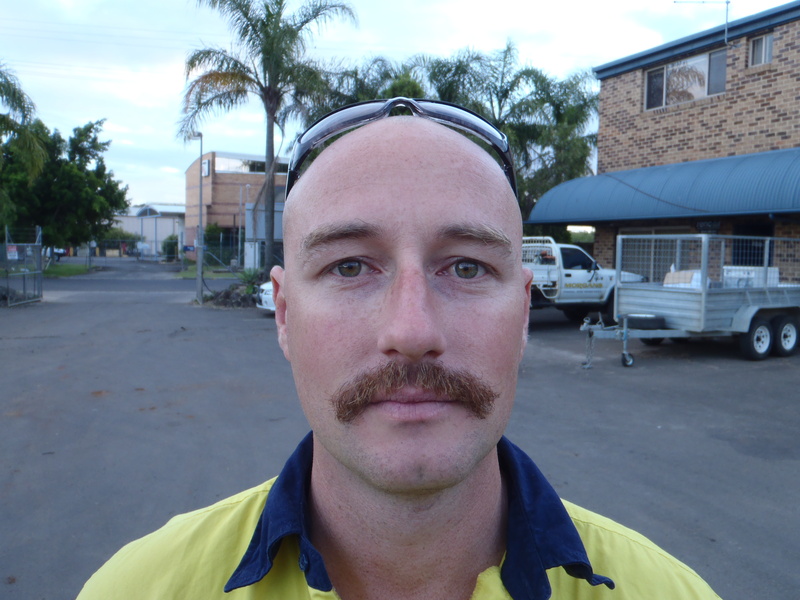 Morgans Participated in Movember with huge success in 2010 as well as lots of fun. 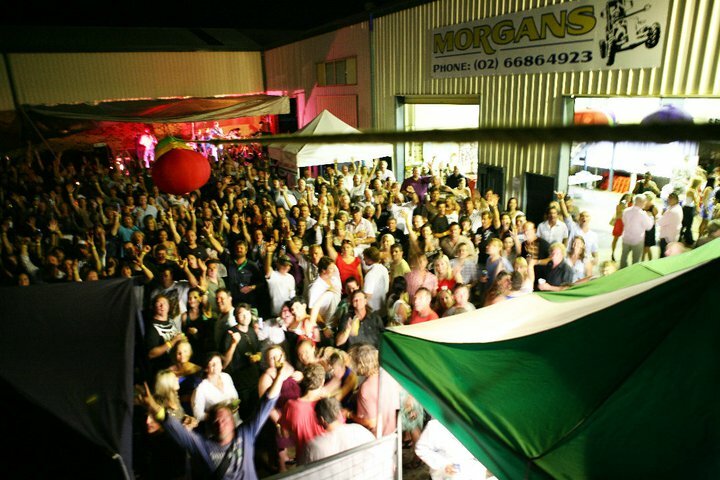 Our Christmas party was a change to the norm with Morgans yard hosting a fundraiser for a local family in need, Loads of fun had by all and the night was a huge success financially and a humbling tribute to true community spirit.